LOS ANGELES -- Ross Stripling pitched as though he had somewhere else to be. The Brewers managed just three hits -- a double by Travis Shaw and singles from Chacin and Yasmani Grandal -- through the first seven innings. 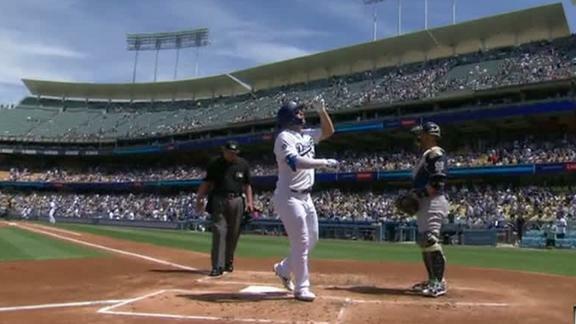 Grandal hit safely in all three games against his old team in his return to LA. He was 6 for 11 with a homer and two RBI in the series. This month, he's hitting .514 with four homers and seven RBI. Joc Pederson drives a Jhoulys Chacin pitch deep over the right-field wall en route to a 7-1 Dodgers win over the Brewers.